It’s nearly here. Less than one week away – what some have already dubbed as game of the year, but what can you expect to see from Rockstar’s latest blockbuster in the Grand Theft Auto series, GTA V? Well, for the first time in Grand Theft Auto’s history, you’ll have not one, but three main characters to play as; Franklin â€“ A vehicle repo-man for a dodgy Armenian car dealer, Michael â€“ A retired bank robber turned unhappy family man, and Trevor â€“ Michaels ex-bank-robbing partner and full-time psychopath. Players will be able to switch between these three protagonists at any given point, changing the dynamics of the game immensely and allowing players adopt their own specific strategies and play styles for each mission. This new mechanic will enable players to gain new vantage points when taking down enemies, or potentially even setting up elaborate traps for their unlucky victims. It’s with these three characters you’re thrown into the sprawling city of Los Santos, a setting fans of the franchise will be familiar with from the hugely popular Grand Theft Auto: San Andreas. There is however, a sizeable difference from the Los Santos we got to roam around in before… which is the size of it. Rockstar claim that GTA V’s map will be larger than Liberty City from GTA IV, San Andreas’ Los Santos and Red Dead Redemption combined. That’s one hell of a playground. And don’t expect to get bored anytime soon during your stay in Los Santos. 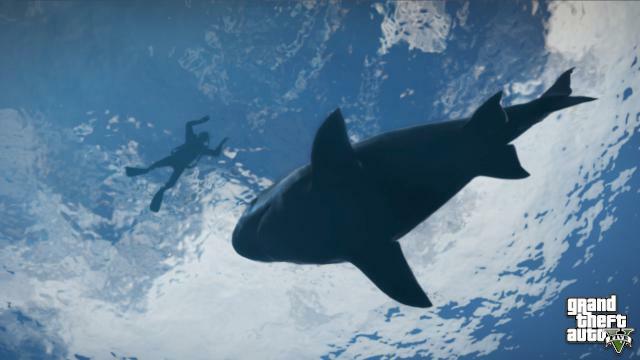 Rockstar have added plenty of activities for you do, including sports such as golf and tennis â€“ which are supposedly so realistic it will render Tiger Woods PGA Tour 14 redundant â€“ scuba diving which allows you to explore underwater caves and sunken ships, hunting which is presumably similar to the hunting mechanic from Red Dead Redemption, and racing makes it’s return on land, sea and in the air. Airborne races were something we missed from the past instalment, GTA IV, with planes being completely removed from the game. Thankfully this hasn’t been repeated for the latest game, with a vast array of planes, helicopters and even a blimp available for you to pilot, providing you’ve pre-ordered the game. 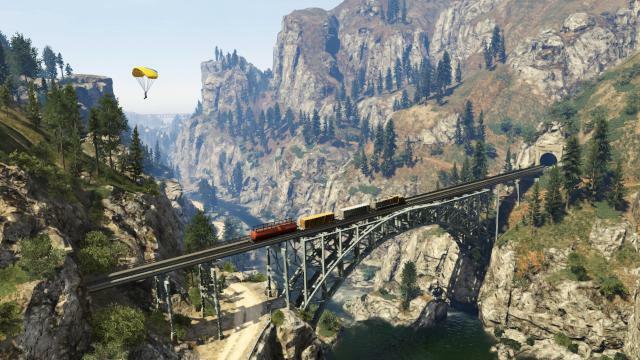 Another returning drivable vehicle to the series is the train, after being removed along with planes for IV, much to the displeasure of fans of the series. 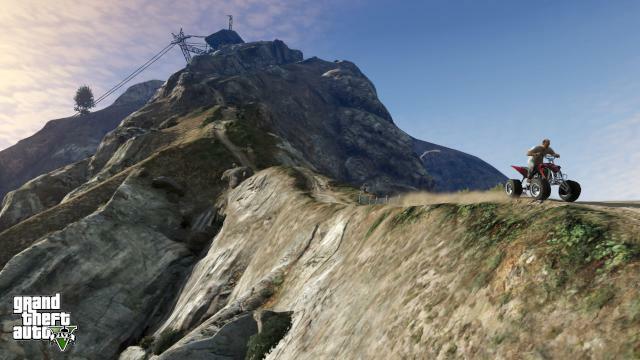 The cars and bikes have had an update too, and Rockstar have stuck with their plans to take Grand Theft Auto in a more realistic direction. Big cumbersome SUVs now handle completely differently to small nimble sports cars. Petrol in cars has also been confirmed, and it’s now possible to shoot a car’s petrol tank causing it to leak fuel, which can then be set alight causing an explosion. This has the potential to create interesting combat scenes, as a line of leaked petrol on the floor could become a wall of fire in the middle of a fight. Combat too has undergone improvements. A new weapon wheel has been implemented into the game, similar to that we’ve seen in Rockstars’ previous games, Red Dead Redemption and Max Payne 3, to allow quick weapon switches. 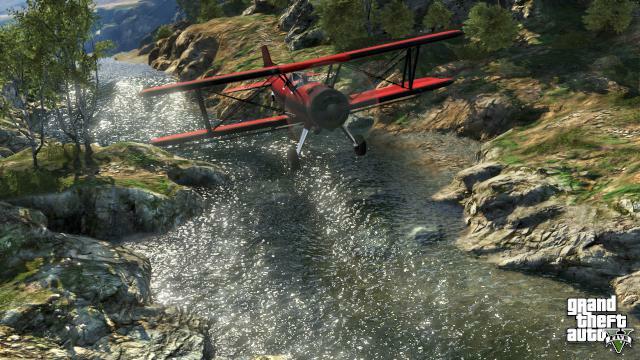 Rockstar have also stated that the combat will be more â€œintuitive and responsiveâ€ in GTA V than in previous instalments. The ‘hard-lock’ targeting system of old has been removed, due to it being disorienting and locking onto targets without players finding them, and it’s now possible to fire from the hip. This allows players to run and shoot at the same time rather than aiming down the barrel â€“ useful for escaping those difficult gunfights. Another useful feature for escaping firefights is the ability to enter a car from cover, and getting out of the car and using it as cover in one fluid motion, minimising your chances of being peppered by enemy bullets. Guns can be customised as well, such as adding scopes or laser sights to aid accuracy, or extended magazines and proper vehicle customisation has made it’s return in a big way, with the car customisation claimed to rival that of the Midnight Club series of games. Character customisation has been improved from GTA IV, with the option to change your characters clothes, hair, and tattoos. A brand new customisable feature in the series is that of pet dogs, which are confirmed to be in the game, but just how much you can change your pet pooch is unknown. Rockstar haven’t just thought about the single player though, as GTA Online will be released two weeks after GTA V, and will let you and up to 15 friends explore the world of Los Santos whilst doing whatever your hearts desire, with what seems to be the majority of single player experiences included in the multiplayer variant. So if you get tired of beating civilians with baseball bats, you and your friends can relax by watching a movie in-game, playing a round or two of golf, or by setting up a friendly race â€“ which you can now do by creating your own race track. It’s possible to use the in-game editor to create your very own races and deathmatch arenas, giving players a unique multiplayer experience every time. There’s also the option of pulling off heists, similar to that of the single player story, where you and your team of friends are challenged to rob a specific place, smaller robberies like liquor stores, or purchasing new items, properties or garages to store your cars and show off. 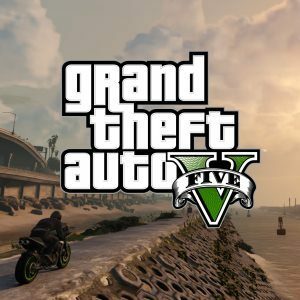 These will however, require plenty of money, which you may be thinking is easy to lose with 15 other players potentially pointing RPGs at you, but don’t worry because GTA Online will have an ATM system, where you can now store your money without fear of losing it when you’re blown to smithereens. Everything really does sound fantastically promising, but unfortunately I can still find a few issues. Chief among which, is the end game. The problem I personally found with it’s predecessor, GTA IV, was that, while the added realism improved gameplay and immersion, and the story was brilliantly well written and engaging, when I’d finished the final mission I felt that the game had nothing left.Â And although there are far more activities to do in V, I feel that the novelty of playing tennis will wear off long before the story is finished. The online mode too will have it’s problems, because unless you’re playing only with friends, you’ll probably end up being killed constantly by whoever has the best weaponry, which can only get frustrating. And then there’s the issue of cheats. I know that it’s a bit of a taboo subject, and people think that cheats only take away from the experience, and I agree â€“ when it comes to playing the story â€“ but when the story is over and done with, the whole point of playing the game is to have fun. I spent hours on GTA San Andreas using cheats long after the story was finished, making traffic aggressive and watching as they float away into the distance after colliding with each other, and putting on rioting pedestrians and seeing old ladies stealing television sets made simply messing around infinitely more fun, and that’s something I really missed in GTA IV.Â I can only hope that Rockstar haven’t forgotten their roots in making Grand Theft Auto fun. But this shouldn’t put you off, it certainly hasn’t put me off. Even with these issue GTA V is probably going to be one of the greatest games of the current gaming generation, and can only be classed as a must buy for anyone who calls themselves a gamer. GTA V will be released for PS3 and Xbox 360 on the 17th September, while the release date for PS4, Xbox One and PC are currently unknown. Well I already play XD I have no doubt GTA V will not disappoint, it is much more than what has been said, the handling, the graphics, everything is amazing. Impressive points here. We’re incredibly fulfilled to see your content. Appreciate it for looking forward to get hold of you actually. Will you remember to drop us a send? I’m well aware this is spam, but it’s so brilliantly written I’ve just removed the link to the spam site and left the actual comment here for comedy value.